Colleagues turned friends: Jinlei Jia, Robert Pearce, Ziqin Zhou, Igor Sekachev and Tianjue Zhang. Last week, 20 September, the ITER Vacuum Section welcomed a delegation of scientists and engineers from China in an event that also brought together some old friends. The guests were Tianjue Zhang, head of the Beijing Radioactive Ion-beam Facilities (BRIF) and director of the Cyclotron Laboratory at the China Institute of Atomic Energy (CIAE); Jinlei Jia, sector chief of the State Administration of Science, Technology and Industry; and Ziqin Zhou, deputy director of the Hi-Tech Division at the China International Engineering Consulting Corporation (CIECC). All had participated in the MT-22 magnet conference in Marseille and had prolonged their visit in France to make the trip to ITER. Igor Sekachev, cryogenics interface engineer in the Vacuum Section, had become acquainted with these Chinese colleagues in his previous position as head of vacuum systems and cryogenic engineering at the Canadian National Research Laboratory TRIUMF, which closely collaborated with the Chinese CIAE. In the meeting with the ITER Vacuum Section, Tianjue Zhang described the progress made at CIAE, focusing on cyclotron development for research and medical applications. 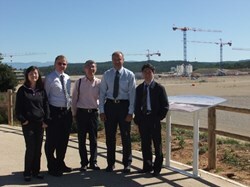 Vacuum Section Head Robert Pearce, in return, presented the activities performed on ITER. Cryogenic vacuum technology is an area of overlap between the two institutions as cryo-pumping is utilized in the CIAE cyclotrons and is also a major vacuum production tool for ITER. 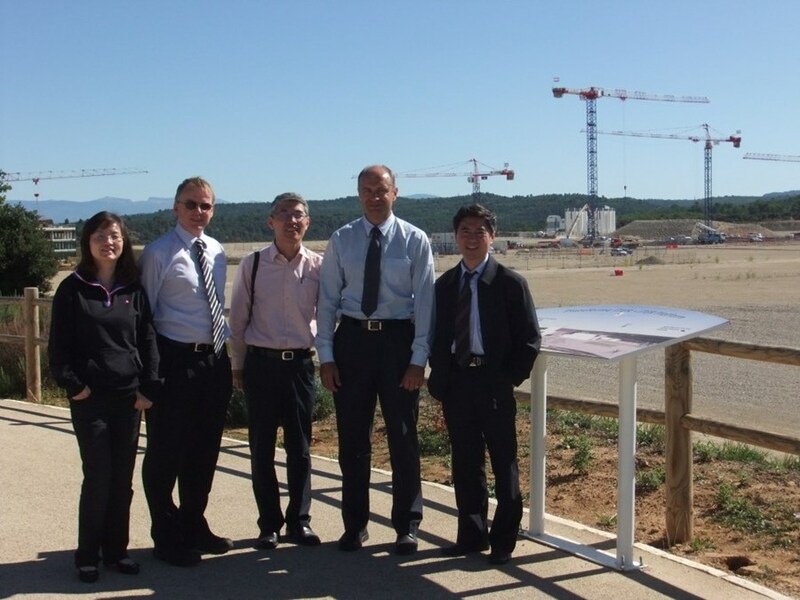 After a visit to the ITER construction site the visitors discussed areas of mutual interest and identified potential directions for future collaboration with Yong-Hwan Kim, the head of ITER's Central Engineering & Plant Directorate.